Guys, have you ever been to a girl’s apartment? Of course you have. So what’s the one thing they all have in common? Candles. Do you know why? Because candles are awesome. They smell amazing, look great, and give off a relaxing vibe. 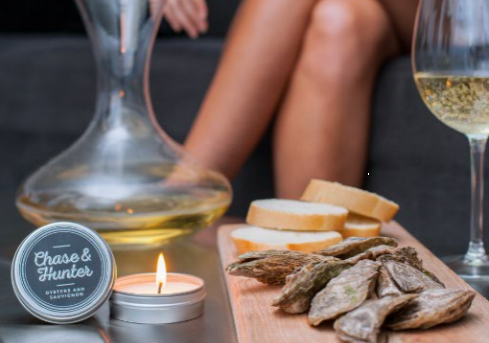 Our friends at Chase & Hunter believe guys would be IDIOTS not to have candles in their mancave. Step up your game so that your next date won’t need a cloths pin for her nose. Right now the guys are thinking: “How the hell do I know which candle she will like best?” And we get it… you don’t want to get overwhelmed in the candle store with walls and walls full of candles to choose from. Out of that same frustration, our friends started Chase & Hunter. They’re the first and only candle brand that does the picking for you and pairs the right candle for that perfect experience. They’re not just a candle company – they’re your wingman! Building product is their passion. And they are there to walk you through every step of the way and make sure your etiquette is on point. Candle fragrances are carefully selected to match any experience. They want to be sure that Chase & Hunter men are prepared no matter what comes your way, giving you the perfect scent to use at the right time. Check out their Kickstarter campaign HERE to see what candle will help you up your game!